Finding the best credit cards is both an art and science. To some extent it’s about the numbers. You look for cards with the lowest interest rates or fees, or the highest rewards. But it’s also about matching the best credit card with your specific financial needs. As a result, the top card will vary from one person to the next. You should consider what your financial goals are, such as earning rewards, paying down debt with a 0% offer, or just having an everyday card you can use. You also need to consider your credit score. With those caveats in mind, we’ve assembled a list of the Best Credit Cards for 2019 by category as selected by the editors of allcards.com. There are, of course, other options. With each category we’ve included a link to a larger list of credit cards. And following this list, you’ll find more details about these offers and information about our ranking methodology. There are two approaches to cash back cards. Either you carry one card with excellent rewards, or you carry multiple cards to get the most out of every purchase. The one card approach is simple, but doesn’t maximize your rewards. The multiple card approach is a bit of a hassle, but you get the most cash back. If you want to maximize your cash, the Chase Freedom and Blue Cash Preferred® Card from American Express are two excellent options. Here are details on these and other cash back credit cards. Welcome Offer: Earn $200 statement credit after you spend $1,000 in purchases on your new Card within the first 3 months. Earn Cash Back: 6% U.S. supermarkets up to $6,000 per year in purchases (then 1%), 3% U.S. gas stations, and 1% other purchases. Terms and limitations apply. 0% intro APR on purchases and balance transfers for 12 months, then a variable rate based on your creditworthiness and other factors. Welcome Offer: $150 statement credit after you spend $1,000 in purchases within the first 3 months. Note: Cash back is received in the form of Reward Dollars that can be easily redeemed for statement credits, gift cards, and merchandise. Intro APR: 0% for 15 months on purchases and balance transfers. Click here to learn more about the Chase Freedom Unlimited and similar credit cards. Click here to learn more about the Chase Freedom and similar credit cards. Finding the best 0% card for balance transfers is primarily about the numbers. You want a 0% offer that lasts as long as possible. And to the extent available, you’d prefer not to pay a transfer fee. Bonus: There are cards that offer 0% on balance transfers and purchases for up to 21 months. You can find these and other offers here. Travel cards represent a diverse universe of rewards. They include general travel rewards that are independent of a specific company, airline miles cards, hotel rewards cards, and even specialty cards. As such, it’s difficult to pick the “best” travel card. A lot will depend on how you use the card and how you travel. With that said, here are our picks for 2019. Receive 60,000 bonus points when you spend $4,000 on purchases in the first from account opening. 60,000 points are worth $ in travel when you redeem through Chase Ultimate Rewards. 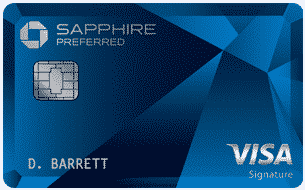 Click here to learn more about the Chase Sapphire Preferred Card and similar credit cards. Each year you make $30,000 in purchases on your British Airways Visa card, you’ll earn a Travel Together Ticket good for two years. Click here to learn more about the British Airways Visa Signature and similar credit cards. Receive 1 Free Night Award each year after your Card account anniversary you can use at a participating hotel. Enjoy complimentary Marriott Bonvoy Silver Elite status. Earn Gold Elite status after spending $35,000 on eligible purchases on your card in a calendar year. Receive 15 Elite Night Credits granted each calendar year. 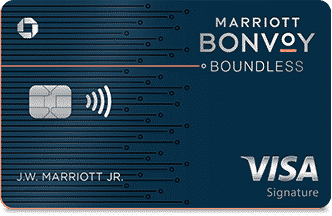 Click here to learn more about the Marriott Bonvoy Boundless Credit Card and similar credit cards. Chase is currently offering some great sign-up bonuses and ongoing rewards on its Ink line of business credit cards. These cards can be a good option for small business owners anyway, but these deals are making it even better. Chase Ink cards come in three flavors. Two of them pay rewards in cash, one in points. Two have no annual fee, one does. As with anything, you get what you pay for. The Chase Ink with an annual fee offers the highest sign-up bonus and phenomenal ongoing rewards. First up is the Chase Ink Business Preferred Credit Card, which offers the highest signup bonus of the three Chase business credit cards. You can earn 80,000 bonus points, which is worth $1,000 in travel rewards when redeemed through Chase Ultimate Rewards. Signup Bonus: Earn 80,000 bonus points after you spend $5,000 on purchases in the first 3 months from account opening. Click here to learn more about the Chase Ink Business Preferred Credit Card and similar credit cards. The Chase Ink Business Cash Credit Card combines a generous signup bonus with up to 5% cash back. Click here to learn more about the Chase Ink Business Cash Credit Card and similar credit cards. The third option is ideal for those looking for a solid card with simple rewards. The Chase Ink Business Unlimited offers a $500 bonus, 1.5% cash back, and a 0% APR introductory rate. Click here to learn more about the Chase Ink Business Unlimited and similar credit cards. So which of these offers is best for you? That depends on what you need. If you’ll spend $5,000 within three months, the Ink Business card will give you a better deal with the 80,000 bonus points. Use the Chase Ultimate Rewards portal to book travel with those points, and you’ll essentially break even on almost 8 more years of annual fees. If you’re not sure how often you’ll use the card, or don’t plan to spend that much off the bat, the Ink Cash is probably your better option. You’ll still earn the same cash back, but you won’t have to worry about that $95 fee from year 2 onward. Either way, if you’re in the market for a business credit card right now, both of these Chase offers are worth checking out. Webster Bank Rewards Visa Credit Card offers an introductory rate on balance transfers in combination with some attractive rewards. While the bank isn’t a household name among credit card issuing banks, this offer is compelling, particularly if you haven’t been able to qualify for a card with a zero interest offer with a longer-term. The rewards package is a winner from the start. You will earn a $25 cash-back bonus after your first purchase (though it will take 6 to 8 weeks after the purchase). That will certainly make you feel good about participating in this offer very early in the process. Many credit cards are offering similar arrangements, but you generally have to spend several hundred (or even several thousand) dollars before you will receive a bonus of any kind. After that, you will earn one point for every dollar that you spend. But that’s not all. You will get a bonus of 25% added to the points that you earn each month as a result of your purchase activity. So if you earn 100 points, Webster Bank will bump that up to 125 points as a bonus. This is another area where the Webster Bank offer exceeds what is commonly being offered on rewards points by other banks. 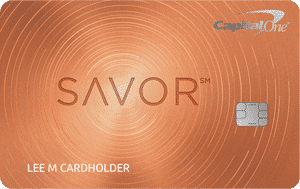 In addition to the rewards points, the card has a 0% introductory rate for the first six billing cycles. And that applies to both balance transfers and purchases (but not to cash advances). Once the introductory rate period expires, an APR of between 9.99% and 20.99%, depending upon your credit worthiness, will apply on your outstanding balance going forward. We’ve already discussed the $25 cash-back bonus that you get with your first purchase, as well as the 25% reward points bonus. We’ve also discussed that the reward point program in general is more generous than it is with most other cards in that it doesn’t require you to reach certain purchase targets. But Webster Bank Rewards Visa offers other advantages as well. There is no limit on the reward and bonus points you can earn. Many credit card rewards programs put a limit on how many points you can earn, or on the timeframe in which you can earn them. There are no such limits with Webster Bank Rewards Visa. Bonus points can be redeemed as cash. This benefit is huge. Many, probably most, credit cards that offer bonus points allow them only for the purchase of the issuer’s own products or services, or require that they are redeemable for certain gifts that you may have no interest in whatsoever. Webster Bank Rewards Visa will allow you to redeem your bonus points as cash, which can be deposited into your checking or savings account. Apply them as a statement credit on your card account. Redeem them as gift cards. Use for travel, including hotels, car rentals and air travel with no blackout dates. That’s a lot of nice redemption options that you won’t get with most other cards. There is no annual fee. There’s nothing worse than signing up for a credit card rewards program where you have to give back all or a large percentage of the rewards through an annual fee. That won’t happen with Webster Bank Rewards Visa. Auto rental collision damage waiver. There was a time when this protection was practically standard issue with credit cards, but many card issuers have gotten away from it. But the protection is there with the Webster Bank Rewards Visa, and it will dramatically lower the cost of paying for a car rental, given the cost that the collision damage waiver is sometimes even more costly than the base car rental rate. Zero fraud liability for unauthorized transactions. As long as you report a fraudulent transaction soon after it occurs, you won’t be held liable to pay for it. There is probably no such thing as a perfect rewards credit card, and that’s true of the Webster Bank Rewards Visa. I’m highlighting some of the conditions with the card that you may want to consider, though some of them are hardly deal breakers. Balance transfer fees. Webster Bank charges a fee of 3% of the amount of the balance transfer, subject to a $5 minimum. The points expire after five years. The clock starts running on your points from the end of the quarter in which the points were earned. If you’re in the habit of redeeming your rewards points quickly, this is a complete non-issue. But if you like to save up the points for a major purchase – that will require saving points for more than five years – this may not be the best card offer for you. Despite these limitations – and recognizing that all rewards cards offers also impose limitations – Webster Bank Rewards Visa has a solid package to offer. The combination of 25% bonus points, no annual fee, unlimited rewards points, and wide open redemption options on those points – as well as the auto rental collision damage waiver and zero fraud liability features – make this an offer well worth looking into. If you like what you’ve read here, check out the Webster Bank Rewards Visa and give it a try.